For fans of the legendary Neil Young, Jonathan Demme's trilogy of concert docs, beginning with Neil Young: Heart of Gold (2006), to Neil Young Trunk Show (2009), and culminating with this year's Neil Young Journeys, have offered a unique and often fascinating insight into the musician's craft. I'll be the first to admit that I am not as familiar with Young's work as I should be. But even for the uninituated such as myself, it's hard not to become engrossed in Demme's fly on the wall look at Young's 2010 concert at Toronto's Massey Hall. Driving solo from his hometown of Omemee, Ontario, in a 1956 Crown Victoria, Young shares tales from his childhood, reminiscences and reflections that offer a brief but tantalizing glimpse into the soul of an artist. The majority of the film, however, is comprised of extraordinarily intimate renderings of the highlights of Young's two night concert, with the camera getting so close that Young actually gets spit on the camera at one point. Demme brings us as close to the singer as it's possible to get without actually being him, which is part of what makes Neil Young Journeys so special. The film itself may seem a bit aimless, and indeed it does tend to meander in a kind of free form, leisurely way, but its seeming lack of basic structure is part of its charm, evoking Young's laid back outlook and musical style. He has a singular way of making us hang on his every word, turning each song (even the weaker ones), into a moment to treasure. Young doesn't just sing songs, he tells stories, and writes with a depth few songwriters ever achieve anymore. He reaches down deep, and Demme wisely just sits back and lets the cameras roll, never falsely manipulating anything for dramatic purposes. This is authentic, raw filmmaking. 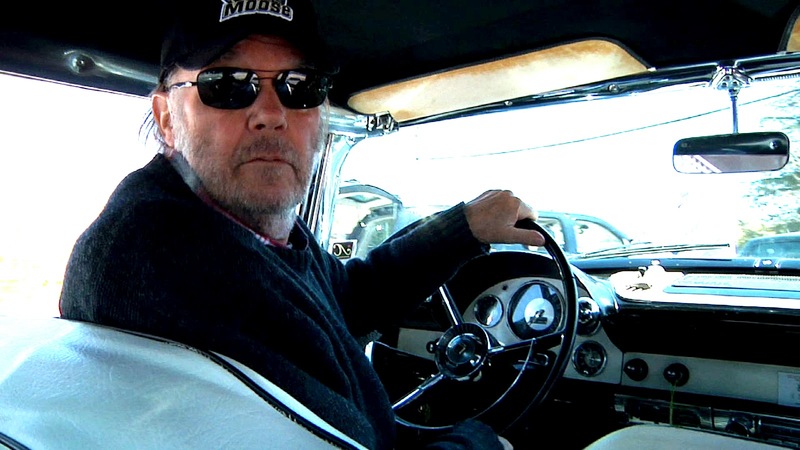 As documentaries go it lacks perspective and insight into Young and what he's about, but that's not really what Neil Young Journeys is trying to do. It's a journey unto itself, a performance doc with a very special kind of intimacy. Demme actually makes us feel like we're on a road trip with one of the most important musical figures of the 20th century, and it's hard not to feel a thrill at the up close and personal nature of the film. If you're not a fan of Young's before coming to this film, it's difficult to believe anyone walking away unconverted. 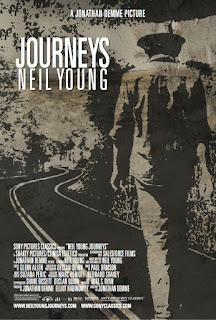 Young and Demme make a fantastic pair, and Neil Young Journeys is a terrific journey indeed. 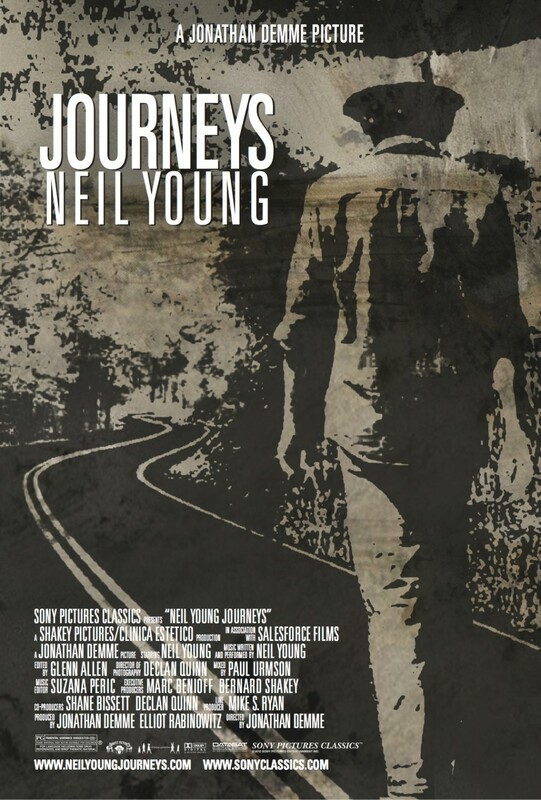 NEIL YOUNG JOURNEYS | Directed by Jonathan Demme | Featuring Neil Young | PG - language including some drug references, and brief thematic material | Now playing in select cities. Opens Friday, 8/17, at the Park Terrace in Charlotte, NC.